京の宿日記 > いよいよ祇園祭が始まりました！今年の1番札は、占出山町ですよ(^.^) Finally, Gion Matsuri has started ! 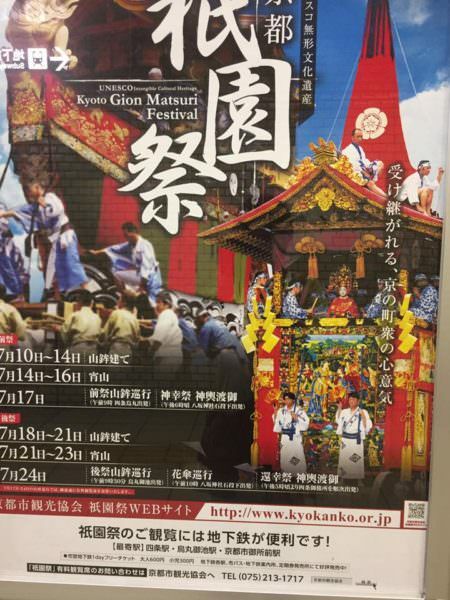 いよいよ祇園祭が始まりました！今年の1番札は、占出山町ですよ(^.^) Finally, Gion Matsuri has started ! It is said that if you place a chimaki at the entrance of the house you will have a sound health for a year ! At naokonoza too I placed Uradeyama chimaki ! On dit que si l’on place un chimaki a l’entree de la maison on sera en bonne sante pour un an ! A naokonoza aussi j’ai place des chimaki de Uradeyama !